In a large skillet, add beef, onion, peppers and garlic. Brown until pink is gone out of the beef. Drain. 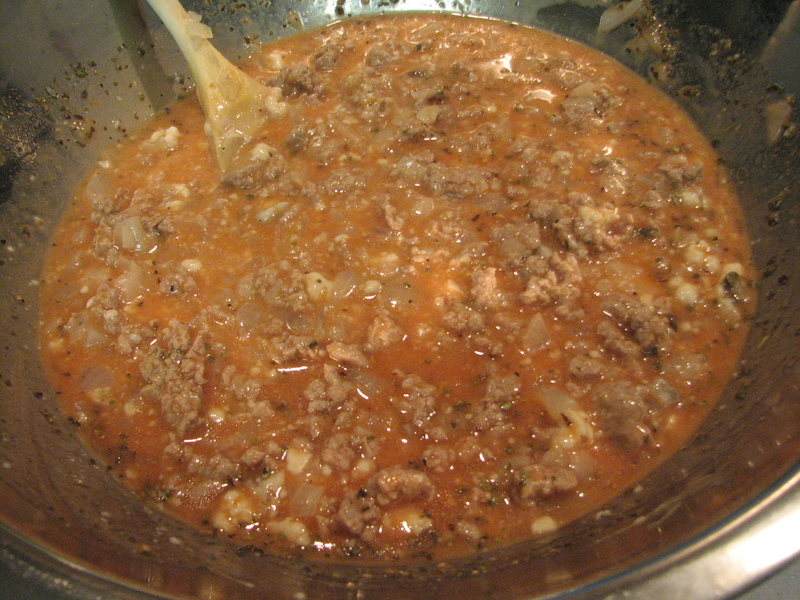 In a large bowl, mix together the meat mixture with the soups, water, seasonings, and spaghetti noodles. 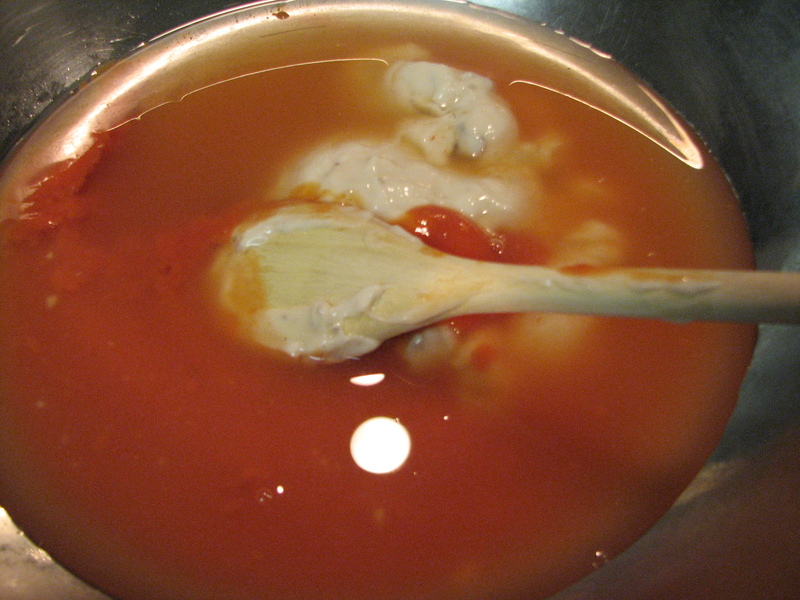 Spray a 9×13 inch glass dish with Pam and spread mixture into dish. 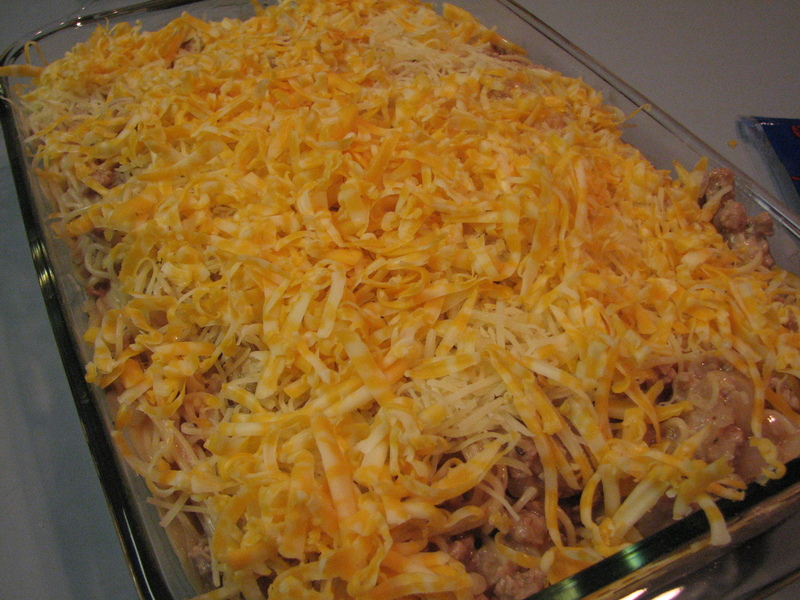 Bake in oven 20 minutes or until cheese is golden brown. 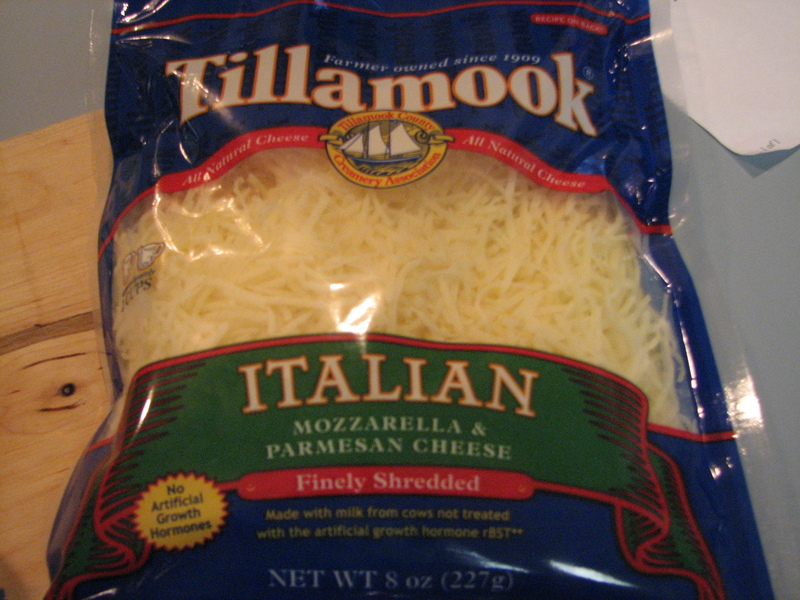 Note: You may add Mozzarella cheese to the cheddar cheese for more of a cheesier bake. Saturday night I a friend over for some chick flicks and dinner. She brought her baby girl over too, so it was definitely a Girl’s Night! I made the above recipe. 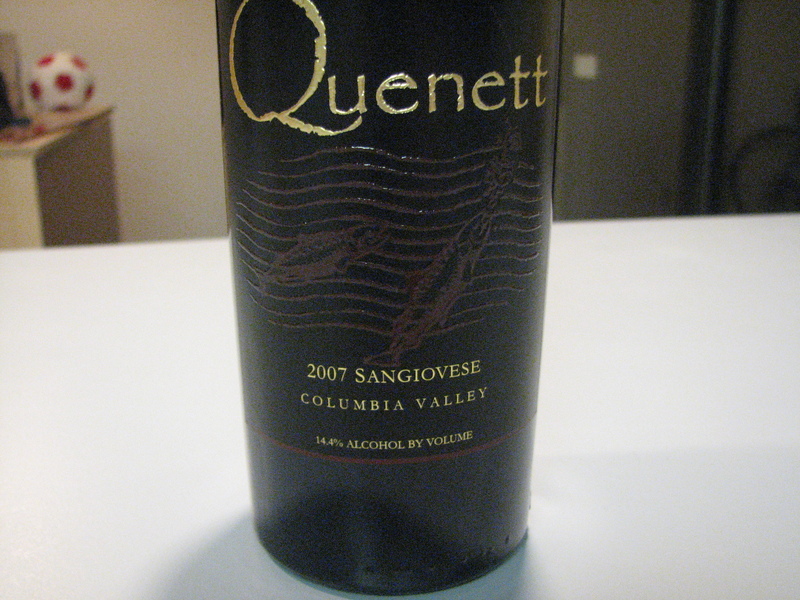 First up: a little Sangiovese. I was cooking the Angel hair pasta when Kat and Norah arrived. 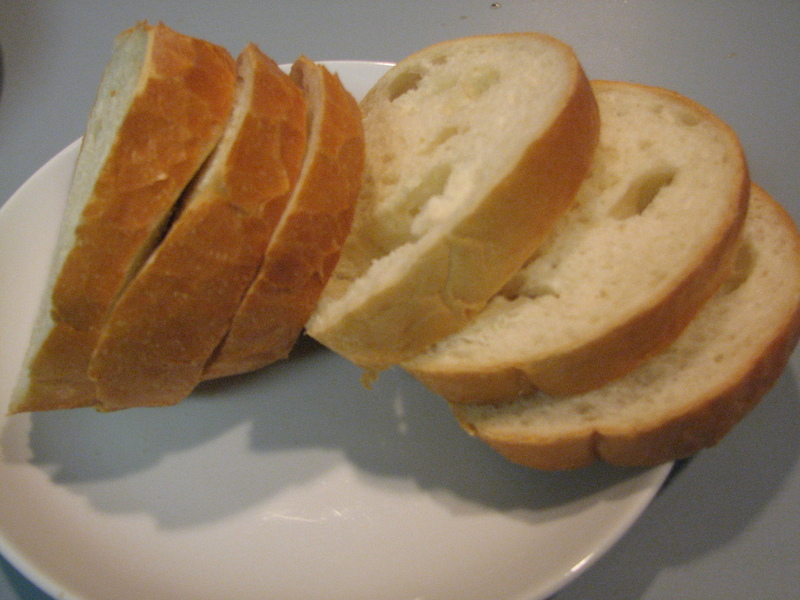 She brought over a freshly baked load of french bread. It was warm and smelled fantastic. 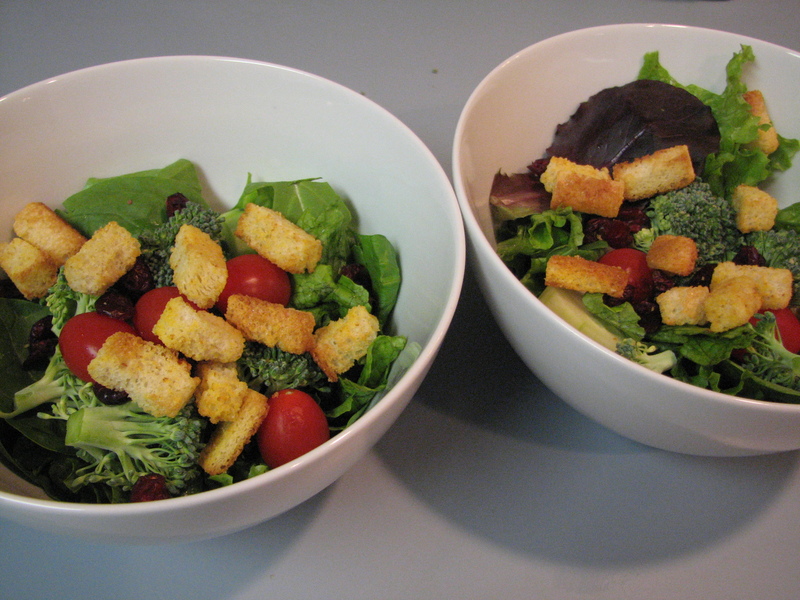 While the pasta was cooking, I made salads for the two of us to munch on while the food was cooking. I chopped onion, minced garlic, and browned the ground turkey. 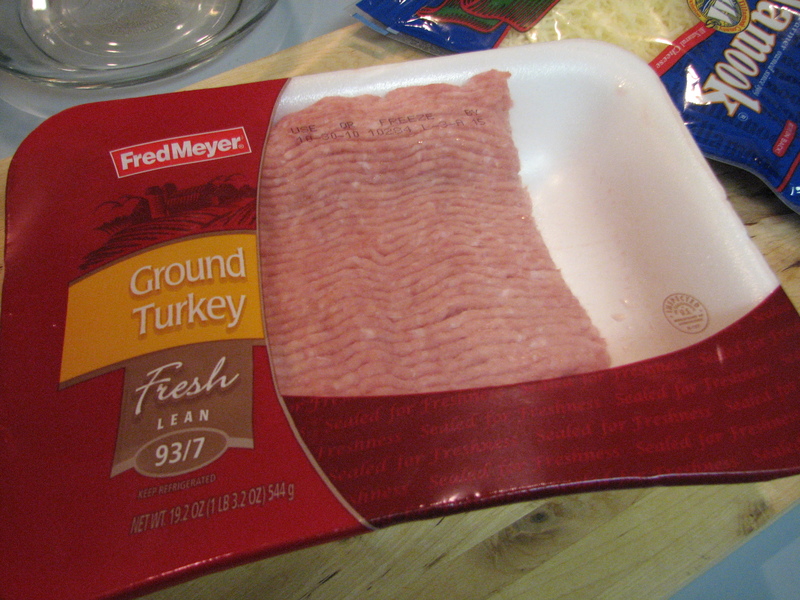 I prefer ground turkey to ground beef and it was a good substitution. It smelled wonderful as it cooked in the skillet. I love the smell of cooking meat, onion and garlic. While that was in the skillet, I mixed the soups and water together. Next mix in the meat mixture. 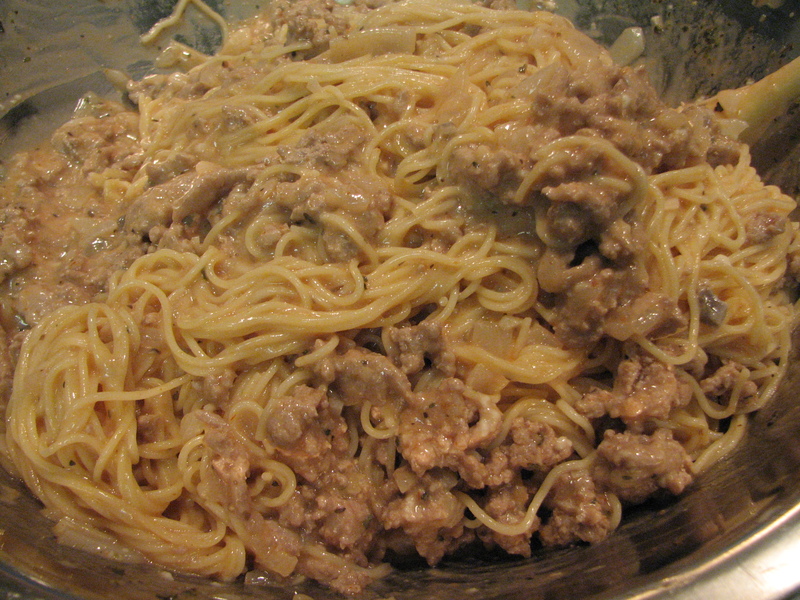 I mixed it all together and poured the angel hair pasta into the bowl. It smelled really fantastic. I was feeling pretty confident that the recipe was going to work out well. Next I poured it into the pan. The recipe called for mild cheddar cheese. 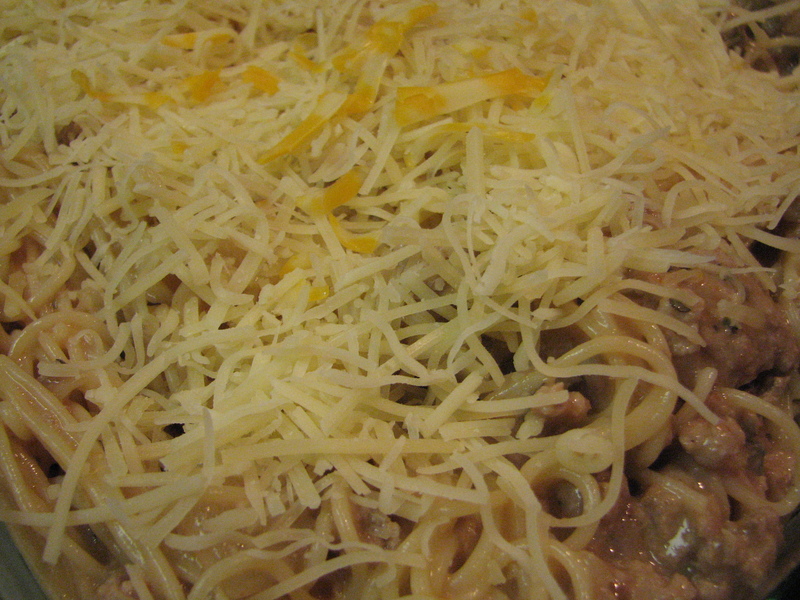 I used shredded Colby Jack cheese and a mixture of mozzarella and parmesan. I think the cheddar cheese wasn’t the right cheese for this dish. I think I should have used just the mozzarella and parmesan. Baked until bubbly and the cheese melty. Needed a can of diced tomatoes. Needed some more spice–not sure what kind though. 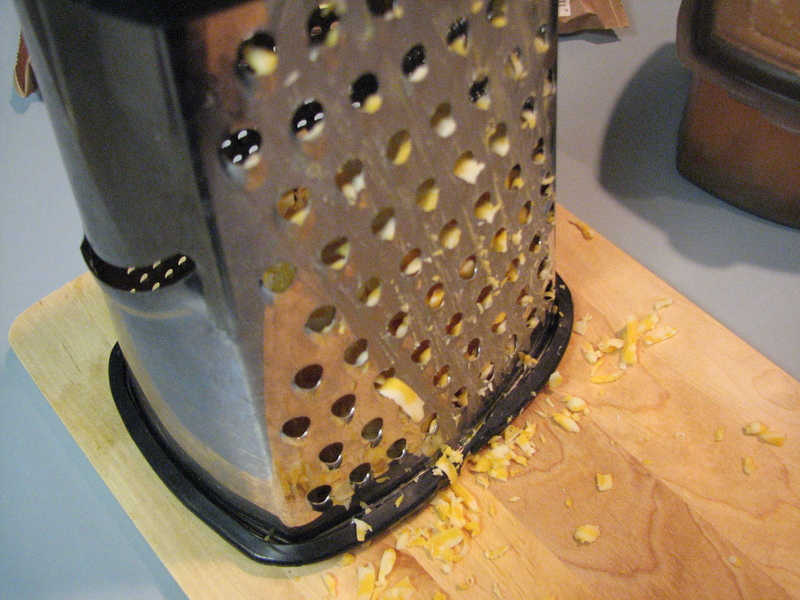 I’d skip the cheddar cheese next time. Other than that, it was a really good dinner for a first attempt! 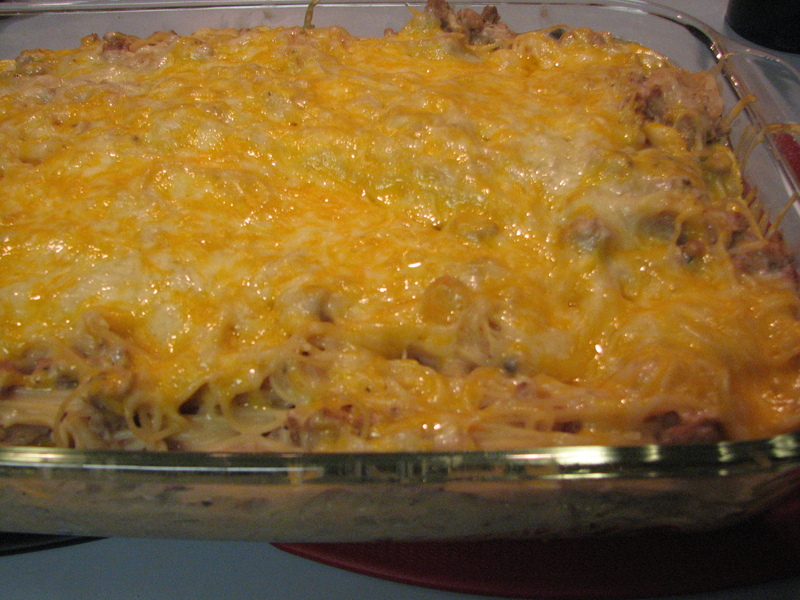 QUESTION: Are you skilled at altering recipes to make them better? What spice do you think this recipe needed? For spice, you can never go wrong with a little crushed red pepper. I just saw that Trader Joe’s has a Swiss/Gruyere shredded cheese mix. 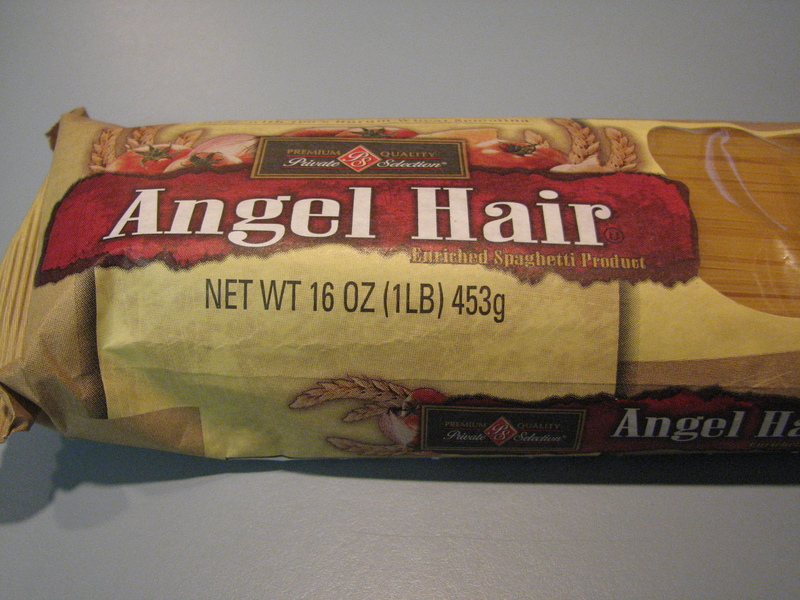 I bet that would be yummy on there with the parmesan. I’ve been holding off going to TJ’s while we eat down the pantry, but I got their flyer yesterday and it’s mighty tempting! 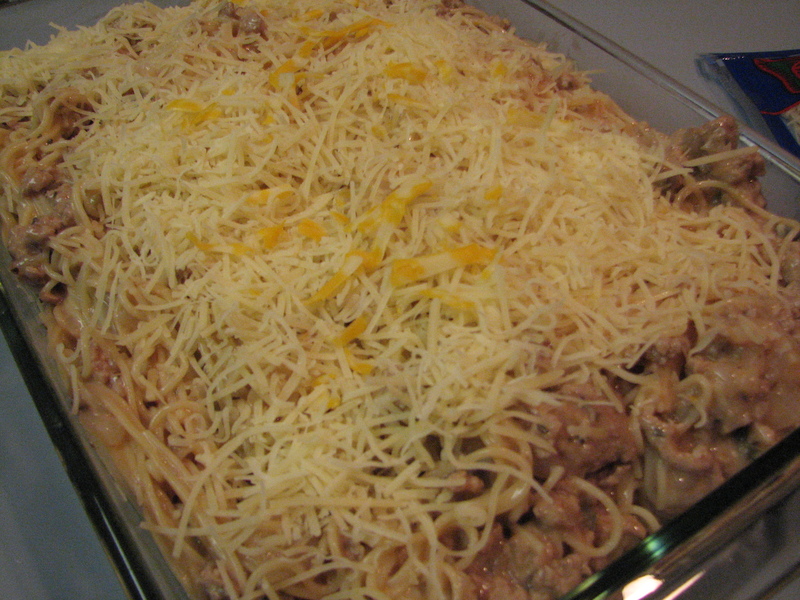 I might try this recipe with spaghetti squash. Glad you had a fun night. Gruyere is a good suggestion! I would hold off on the soups all together. 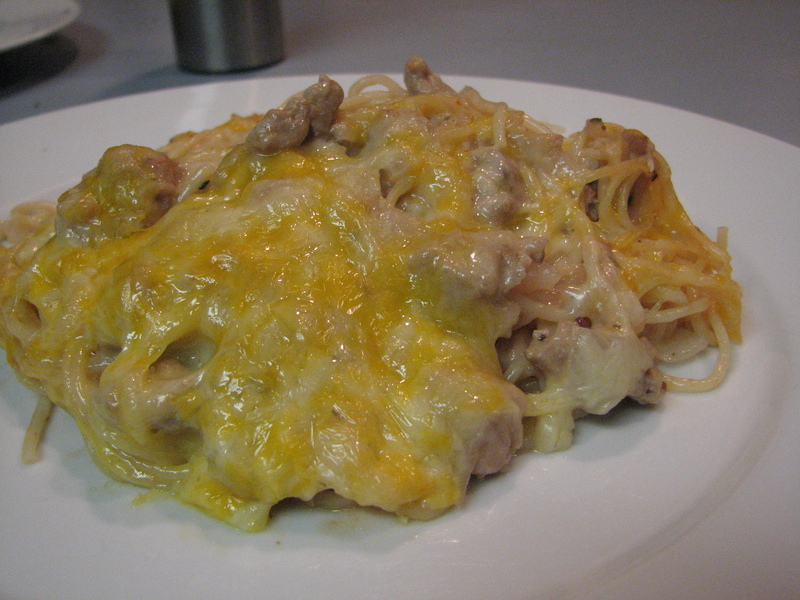 Hunt’s Traditional spagetti sauce is inexpensive and has a great base flavor that is easy to build on. 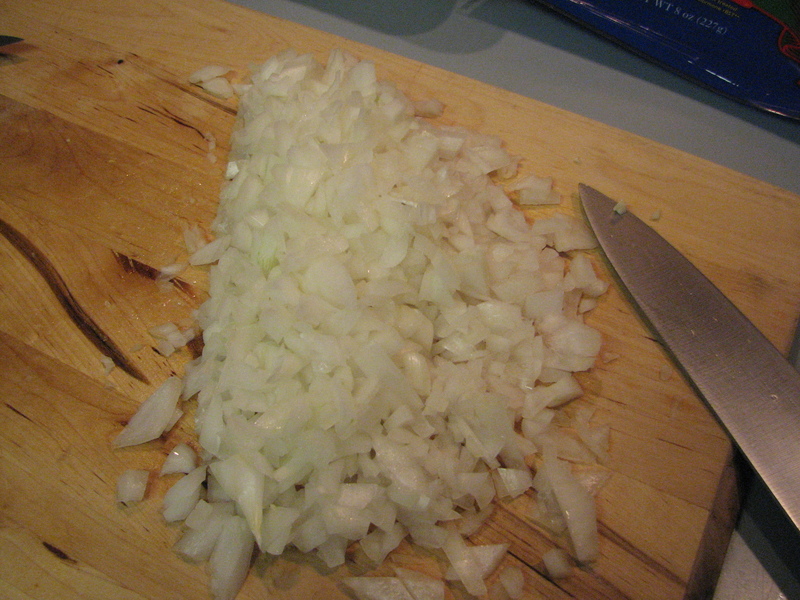 The trick to bringing out a garlic flavor is salt. I’d brown some minced garlic with some garlic powder and a couple of pinches of salt (vs. garlic salt so you can control the amount of garlic flavor/salt ratio). 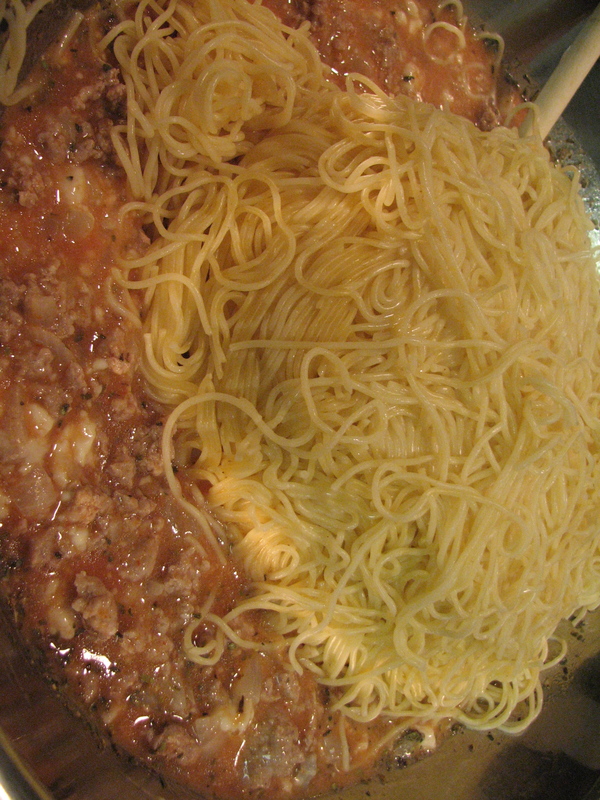 Throw in a can of Italian seasoned diced tomatoes and top with a mix of moz, provalone and parm. Bake until ooey gooey! Thanks for the tips! I always forget about salt. I am not a big fan of salt. That’s why I suggest getting rid of the canned soups. Way to much sodium! The key to good cooking is remembering to add a little salt along the way. Always, ALWAYS add salt to your meat, as you are cooking it. The salt draws the moisture out of the food you are cooking, thus drawing out the flavors. Also, if you are adding the salt by hand, be generous. It is going to take way more salt than you are willing going to put in to even get close to the sodium levels of canned soup. I love to cook and I love to help people get in touch with their inner cook. Salt was never been something I’ve thought to add, so it’s a good reminder. 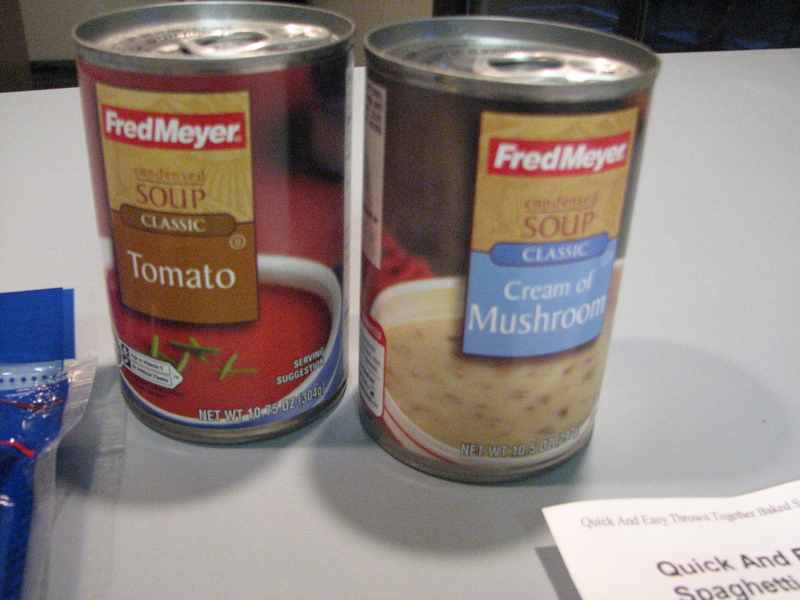 And yes, the sodium in canned soups is bad! I try to buy low sodium soups when I can.